Hierarchical Project and Task Tracking. Estimated and actual time tracking, including timesheet entry. Very flexible task search/filtering mechanism. Session management to enable persistent query specifications. Task-related file attachment upload facility. Open Task Summary Reporting (Pivot Table Generation). User Preferences enable customization of application appearance. Automated PTS Database Backup Utility. 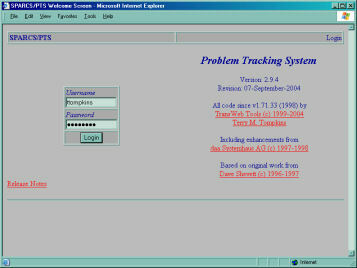 In 1998, we encountered a web-based issue tracking system called the Problem Tracking System from Stonekeep Consulting. 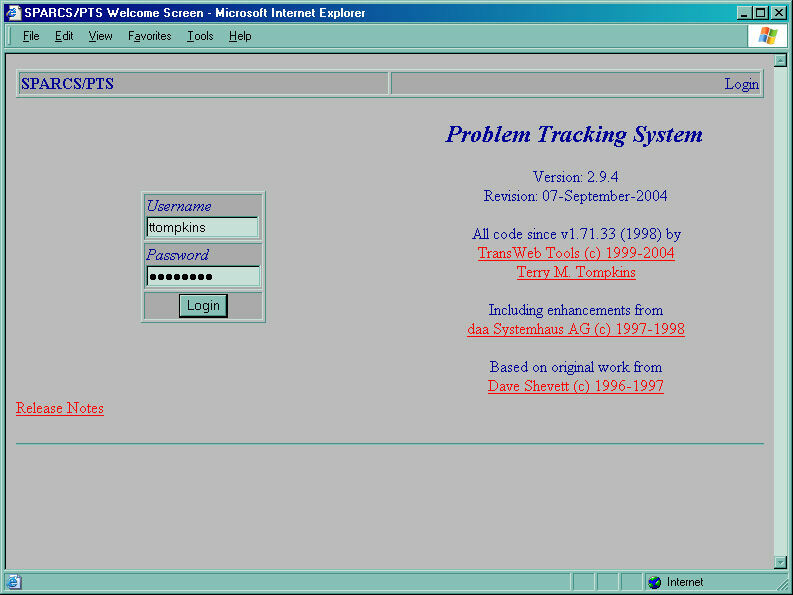 At that time, Stonekeep had stopped maintaining PTS while they worked on a new ticket tracking system called Keystone. We liked PTS so much that we picked up the maintenance of the software. The initial version of PTS required an early version of the PHP web-scripting language (PHP/FI 2.0). We ported PTS to PHP 3.0 and	gave it a number of new features. Since 1998, we have continued to add features and migrate the software to newer versions of MySQL and PHP.